Michael Frederic Howard was born on April 2nd, 1958 in Seattle Washington. The six foot two, switch hitter was drafted out of Sacramento High school by the Los Angeles Dodgers in the 6th round of the 1976 amateur draft. He didn't show much power in the minors, but earned the nick name of Mad Dog with his hustling style of play. He would run down to first base when he drew a walk, just like Pete Rose. Howard did hit .291 with 30 doubles at AA Jackson in 1980. 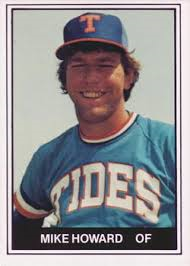 He was promoted to AAA Tidewater in 1981, where he hit .278 in 120 games, 6 HRs 22 doubles & 33 RBIs. In 1982 he was back at Tidewater, batting .286 (second on the club to Rusty Tillman) with 12 doubles & a team leading 10 triples. Howard got a September call up in the second half of the '81 strike shortened season, making his debut on September 12th. He came in the 8th inning & doubled off the St. Louis Cardinals; Mark Littell in his first at bat. The next day he got the start & drove in the Mets only two runs in a 4-2 loss to the Cardinals. In 14 games, Howard hit .167 (4-24) with one double & three RBIs. He got back to the Mets big league club in August & had a pinch hit sac fly RBI in his first game back. It came in a 7-3 loss in a twin bill split with the Pirates in Pittsburgh. On September 24th he hit his only career HR, it came off Ron Reed in a 2-1 loss to the Philadelphia Phillies at Shea. 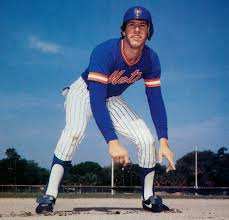 He would get action in 33 games for the last place Mets, batting just .179 with a HR & three RBIs. 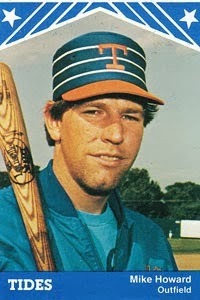 Howard was the Mets Opening Day right fielder in 1983, the day Tom Seaver made a triumphant return to the Mets. Seaver pitched six shut out innings, but earned no decision as the Mets beat Steve Carlton & the Phillies 2-0. Howard drove in the first run of the game, (the winning run) with a bases loaded 6th inning single. After not being used for two weeks, the Mets sent him down to AAA Tidewater. When the clubhouse guy said to bring his uniform, he said no, feeling strongly he was coming back soon. Unfortunately he never returned. Later that year Darryl Strawberry would come up & be the Opening Day right fielder through 1990. Howard hit below .200, was demoted to the Rookie League & was released. He signed with the Pittsburgh Pirates but did not make the club. Trivia: Howard is one of three players to have his last career game be an Opening Day start. 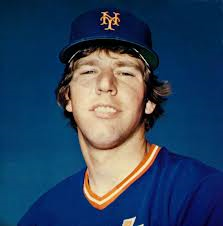 While with the Mets his roommate was current Giants manager; Bruce Bochy. Retirement: After baseball he became a painter & carpenter in Jackson, Mississippi. When the Mets auctioned off some old items from Shea Stadium in 2010, Howards daughter picked up one of his old uniforms & a large photo with him in the background as player.